I am about to allow local Transition Town volunteers to grow fruit and vegetables in my front garden. 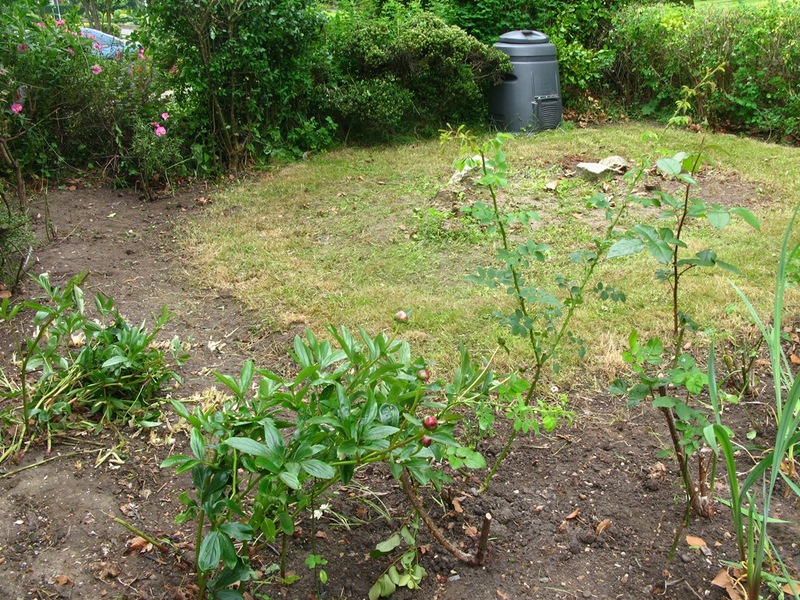 People walking past will soon be able to see a profusion of runner beans, salads and exotic herbs growing next to our ancient, gnarled rose bushes, whereas almost everyone else on my road has neat front gardens with short-clipped lawns and well behaved azaleas. We will be bucking the trend on our SE London suburban strip – let those curtains start a-twitching! We moved into our house two years ago, when I was heavily pregnant. 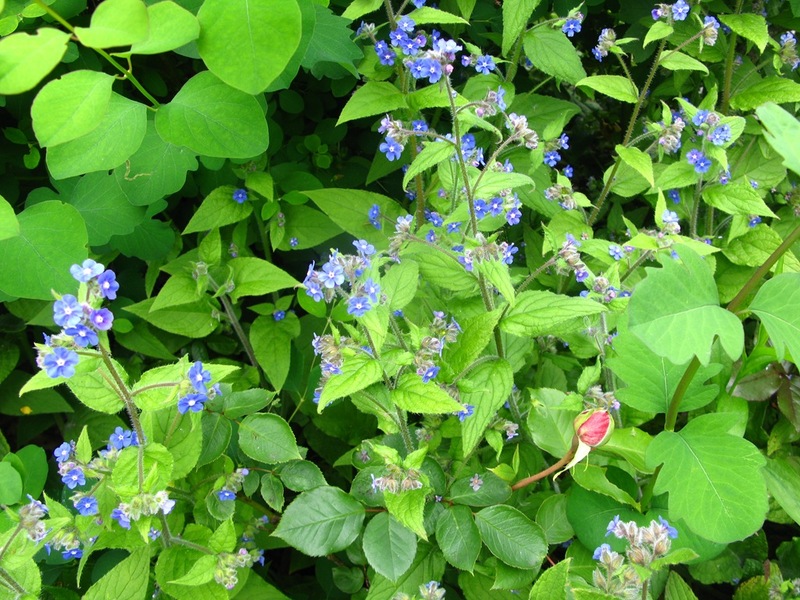 The back garden was a wild, lush jungle that hadn’t been touched for about eight years – every kind of invasive plant you can imagine had taken over, and squirrels, foxes and birds all frolicked undisturbed in a natural paradise. 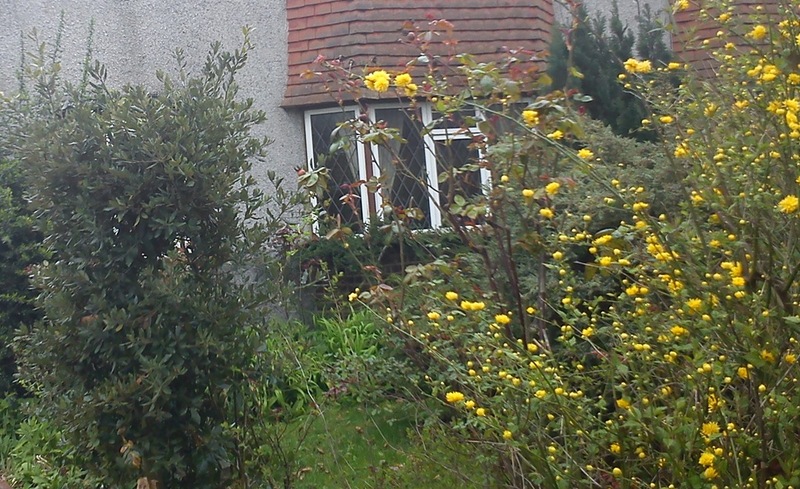 The front garden was a dark morass of unchecked conifers and weeds. The vegetation towered above our heads in places, but we had our minds on other things – notably our imminent baby. Once our daughter arrived, we stumbled through the months, brains foggy with sleep deprivation. Gardeners came and did heavy clearing of the back garden, and we realised that it could take a couple of years at least to get everything in check. We focussed on that and the front garden became an afterthought. It remained unloved and untended. 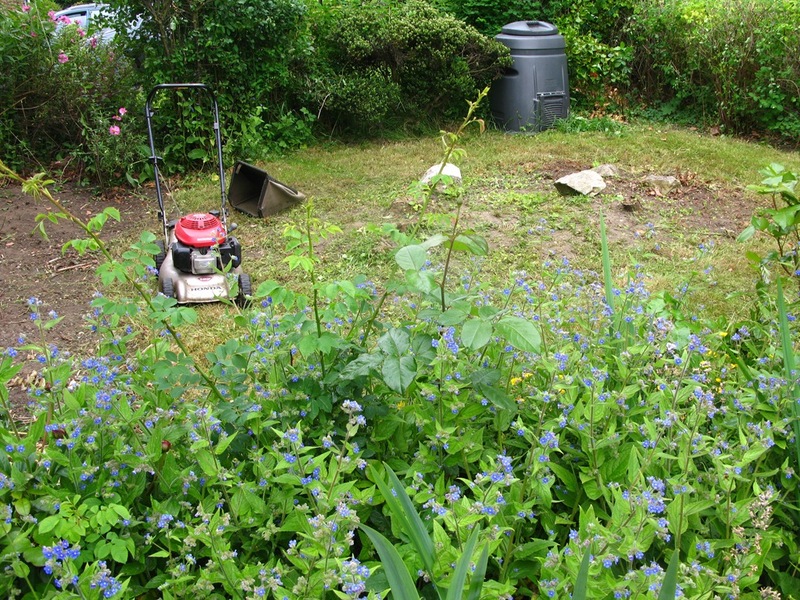 The weeds died back a little during winter, and then would return with a vengeance each summer. I knew that something good could be done with the space, but lacked the energy to think of a real plan. We had no real experience of gardening whatsoever. Plus, I always found front gardens to be a bit of a strange concept – nobody ever sits in theirs, and they often feel like a bit of a waste of space. Unless you’re very motivated and keep yours looking beautiful (who has the time to do that? ), I often don’t see the point of them. Last month, I became re-acquainted with an old friend from my early journalism days, food writer Rachel de Thample. She is heavily involved with local community and food projects in Crystal Palace, helping to co-found the new local Saturday farmer’s market as part of the Crystal Palace Transition Towns initiative. I noticed that the stall that she manned there was supplied with produce grown by ‘Patchwork Farm’ – a London-style farm formed of clusters of neighbourhood growing spaces, including people’s gardens. You could literally sell your glut of apples, nettles or tomatoes from your local garden at the market, provided they were edible! After this discovery, things gathered momentum. One day I took my daughter to the playground and got chatting to a local dad who had allowed Transition Town volunteers come and grow produce in his back garden. Upon hearing this, I was hooked on the idea. We could give up our front garden for a good cause, allowing something useful to be done with the land. It wouldn’t just become a show-home for neatly clipped shrubs. And the best part? We wouldn’t have to do the work ourselves as it would all be done for us by local volunteers! AND we would also get a share of the produce. I hurriedly wrote the local Transition Towns group an email, offering up the use of our land, and waited with baited breath. That was a month ago. 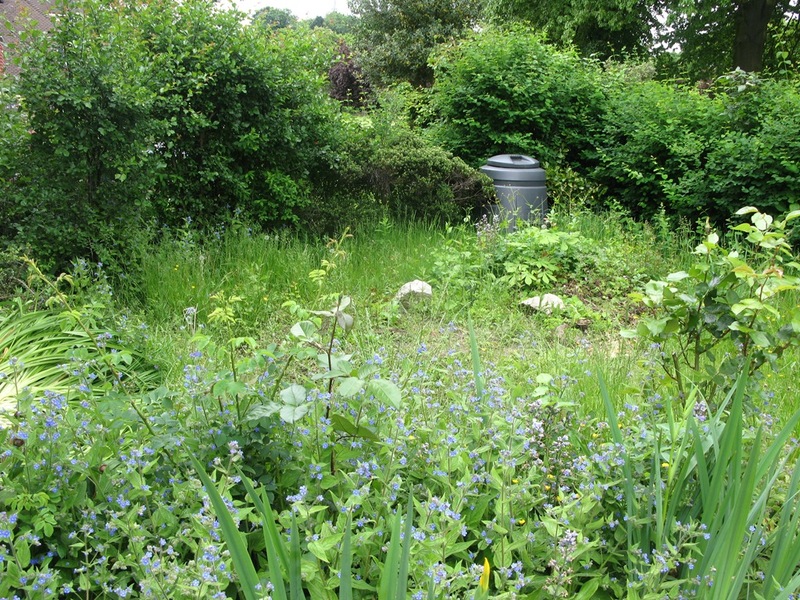 Our offer of the front garden has been snapped up – no less by Rachel herself – the clearing work has begun, and we are drawing up land use contracts. Rachel has come up with an amazing plan of what will grow where, and she has lots of veg desperate for a home. I am BEYOND excited! If you have some unloved land that’s suitable for growing fruit and veg on, why not let someone come and put it to good use? Contact Transition Towns or Landshare. Wow, what a great idea! Fruit and veg look beautiful too in their own way when growing so I’m sure your neighbours will approve. Thanks Fromage Homage. I think they look beautiful too. I like everything to look a little wild and natural, not all neat in pristine rows – BORING! Yes indeed, anyone coming to my house has to do exactly that – I abhor minimalism! Oh I love that feature! Thanks for posting it. We need to be kinder to clutter.